The Fitbit Ionic has just launched, but the company has plans for multiple smartwatches that will live alongside it, CEO James Park has confirmed. In an investors call in which Fitbit announced its Q3 earnings, Park was asked whether the company will iterate on the Ionic in the future, or have multiple devices. "We are going to have a fuller product lineup of smartwatches, ones that co-exist side by side, not just ones that we're upgrading," he said. This suggests we can expect to see more than just the Adidas version of the Ionic down the road. It's too early to tell how well the Ionic is doing for the company; the smartwatch wasn't on sale for much of the third quarter, but all hopes are that the device will fly off shelves going into the holiday period. Park also said that the tracker category is stabilizing for Fitbit, and the results for this quarter were definitely more promising than the last few. Fitbit reported $392.5 million revenue in profit, which was higher than expected, though lower than last October's $504 million. It sold 3.6 million devices, up 7% on the last quarter and no doubt helped by the Ionic - though that's still a 32% drop year-on-year. Hopefully, then, the Ionic will pick things up. 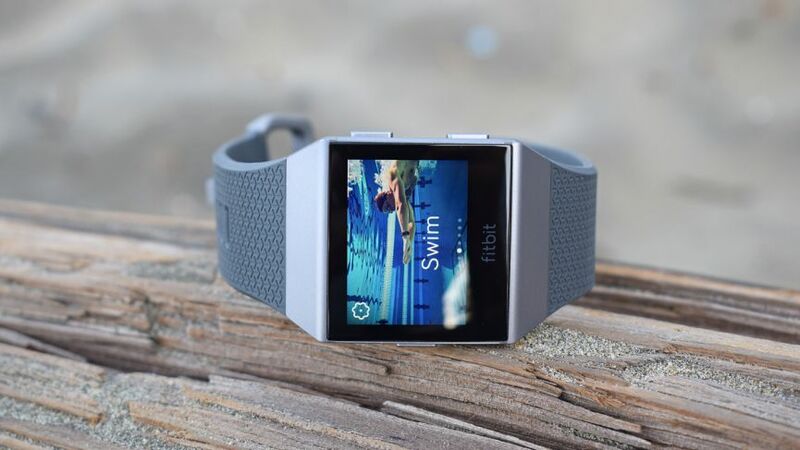 Park confirmed that Fitbit has over 1,400 developers now signed up for the device, with plans for a launch of the Fitbit app gallery - its version of the App Store/Google Play - soon. "Before the holiday selling season we're going to have a full-blown launch of the Fitbit app gallery, which is going to be a combination of some new first- and second-party apps with select partners, beyond with the ones that have already launched, along with opening the floodgates to opening submissions to third parties". Meanwhile Europe awaits a music streaming service. In the US the Ionic launched with Pandora support, but Fitbit is yet to announce who it will be partnering with in Europe.